Thank you for your constant support and your drive to make your home smarter! We want to make you truly happy and our devoted team is always working hard to delight you! P.S. Stay tuned to our newsletters as March will be a very important month filled with new smart home products, discounts and ways to make your home smarter! 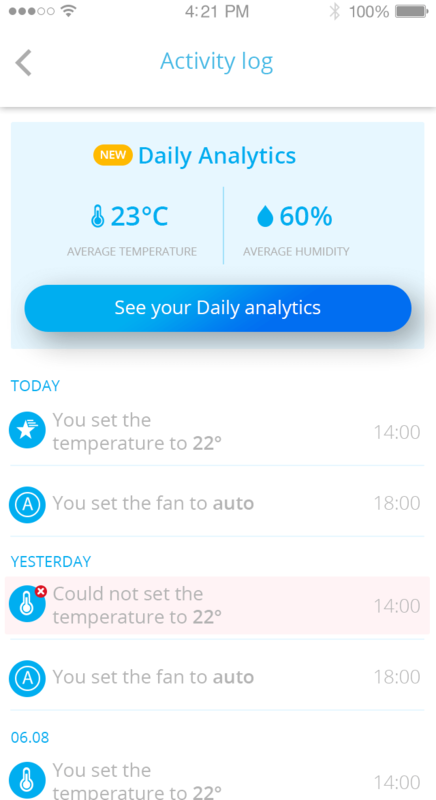 With the new Activity Log, you will not only be able to monitor all the activities of the connected smart home devices, but you will get daily statistics about the average sensor data e.g. temperature and humidity levels at home. 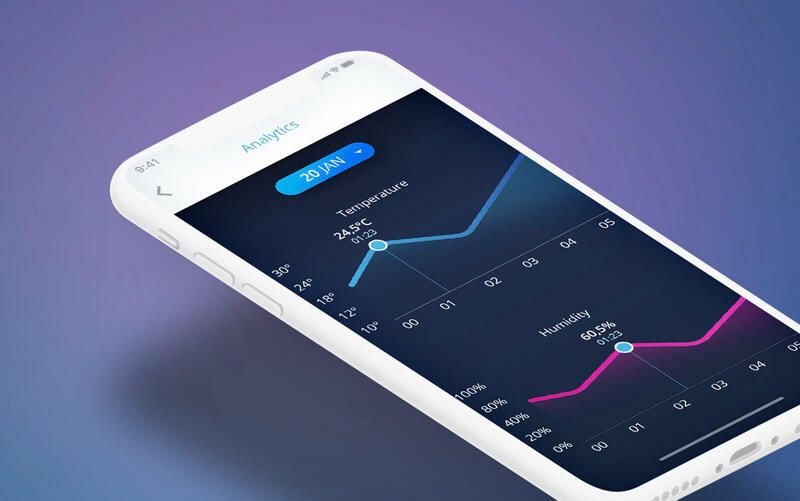 The Analytics Tool let’s you explore in detail the temperature and humidity at home, so you can have better understanding what has happened at home. 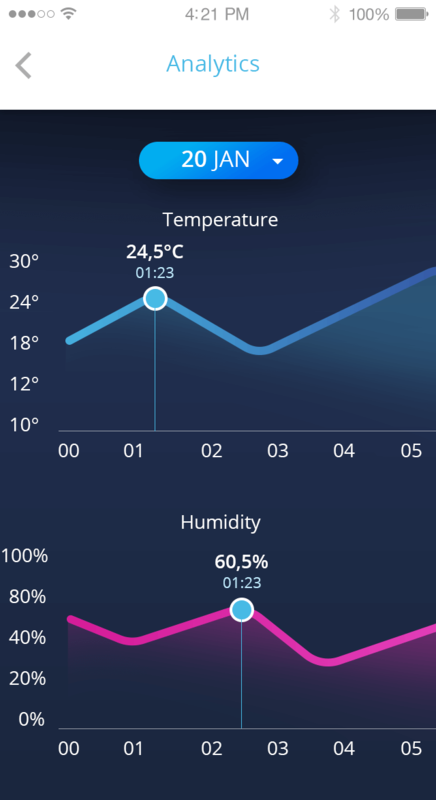 Explore and compare different days’ data and see how can you save more on energy costs.Soon we will also add information about the target temperature at home.